Recently, manufacturers of beauty products started advertising hair removal pads that gently caress the skin. In various infomercials, they have claimed that these mittens can remove the hair painlessly, allowing legs to become silky smooth. In a nutshell, pads provide pain-free hair removal, but don’t expect them to ever replace other essential shavers or epilators. There are about two brands of pads that are currently the most popular. The most reputable one, the Smooth Away hair removal pad, contains what the company calls “superfine” crystals. These tiny crystals lightly rub off hair from the follicles. Technically, it works in a manner similar to sandpaper. By rubbing the rough surface with very little pressure, the pads removes the hair from the legs and other areas where hair growth is relatively thin. The Smooth Away mitten will not provide consistent results on the bikini line or the underarms. Women will have to take several passes to remove the hair from these areas. In fact, one reviewer reported that the shaving was more suitable for these areas, because of the extra effort required to rub these hairs off. Despite the problems of these micro-crystal mitts, they make for somewhat effective tools. A stroke with a Smooth Away can exfoliate dull, flaky skin from the body. Women should try not to rub too vigorously. Putting too much pressure on the skin could cause it to redden quickly. Still, most women are probably buying this product to remove the darker, coarse hairs from their legs. For most women, Smooth Away is a mediocre solution. Most customers criticized this product because it didn’t remove their hair. In fact, many people stated that the mitts only exfoliated the skin. They were only able to remove the hair after showering their legs. The Smooth Away kit also comes with a mini mitt to remove facial hair. This tool can get rid of nasty peach fuzz hair very easily, but it probably cannot remove the thicker hairs that women want to remove. This is a very disconcerting product that raises women’s hopes, only to disappoint them when they actually try them out. 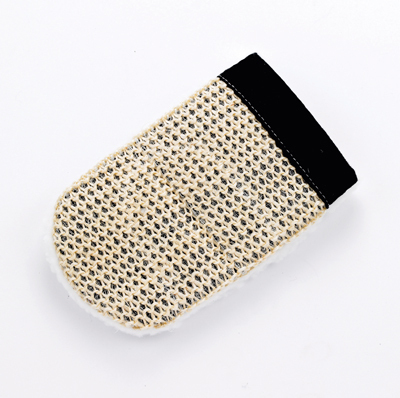 There are also other brands of mitts for customers to test, such as the Trademark Ultra Smooth hair removal and exfoliating system. Unfortunately, these mitts are also ineffective products. As often as women try to buff off the hairs with the pads, Trademark is just as unreliable as the Smooth Away. Although this is ultimately a rip-off item, most mitt kits only cost about $5 each. Thus, women probably will not have to break the bank to purchase these simple mitts. Unfortunately, this product probably will not keep women happy unless someone finds a miraculous way to make the system produce more substantial results. If anything, the Smooth Away and the Trademark Ultra Smooth mitts are trendy novelty items that will go out of style in a few years or so.